By ~Andrea~, December 30, 2018 in Book Blogs - Discuss your reading! 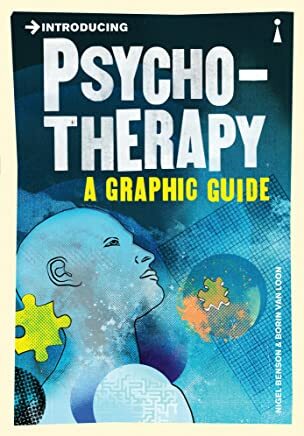 This year I've read a couple of novels with psychotherapy in them which I found a really interesting addition to the story. One was Nicci French's The Memory Game and the other was Rachel's Holiday by Marian Keyes. It got me thinking about psychology and therapy so I decided to read up on the subjects. I found both books really interesting, and the graphic format, with little illustrations and cartoons made them very accessible and enjoyable. 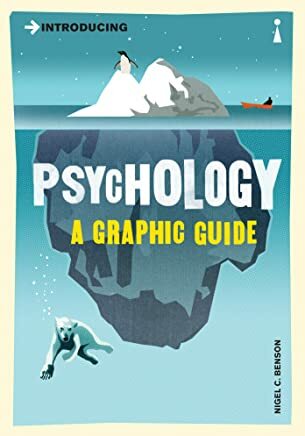 The only thing I wasn't keen on was some of the cartoon figures in the psychotherapy guide where it was talking about anorexia were super thin and I thought insensitively drawn, which was a surprise in an otherwise helpful book on the subject. I get that the book and its illustrations are meant to be lighthearted but it just jarred a bit. Otherwise I enjoyed both books and skipped through them nicely. I haven't heard of those two books before - interesting reading your review. Which psychotherapy books have stood out for you? These are the first books I've read on the subject. They're just very quick starter guides. I've bought another, more in depth book on psychology (by the same author) but haven't started it yet. Have you read on the subject? 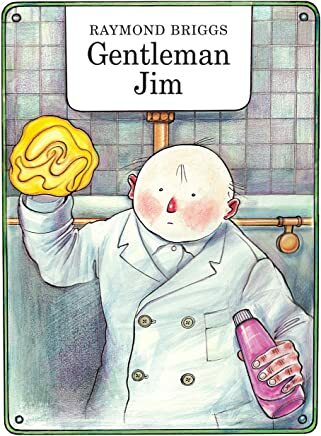 Jim is a toilet attendant, dissatisfied with his lot in life. He escapes into a world of fantasy and dreams of becoming so much more. I've been fancying some graphic novels lately but have no idea really what kind I would like so I picked this up from the library because I enjoyed Fungus the Bogeyman as a child and I've enjoyed some of his animations. This was typical Ray Briggs really, gentle and domestic and with a touch of humour and a hint of sadness. I thought it was OK. The story wasn't that complicated - and in terms of plot it felt more like a children's story but for adults in an odd kind of way. I got this Dr Who graphic novel from the library at the same time. While I found the story more interesting, it was also more forgettable and I don't think I'd bother with any more of these Dr Who ones. It was OK but I'm not really a die hard Whovian, even though I enjoy watching the TV show now and again so I guess they're just not my cuppa. From Amazon: Following a shocking death that dredges up memories of their father's murder, Kinsey and Tyler Locke are thrown into choppy emotional waters, and turn to their new friend, Zack Wells, for support, little suspecting Zack's dark secret. 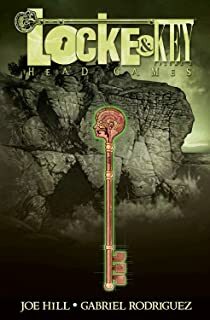 Meanwhile, six-year-old Bode Locke tries to puzzle out the secret of the head key, and Uncle Duncan is jarred into the past by a disturbingly familiar face. Open your mind — the head games are just getting started! This is the second book in this series and I enjoyed it much more than the first. It wasn't so graphically violent and there was some humour. The plot is developing more and I'm becoming intrigued by the various characters and the secrets from the past that have led to the strange situations that engulf the people of Lovecraft. Looking forward to reading the third one now. Yay, graphic novel reviews ! I've wanted to read the Locke & Key books for some time, but they seem to be quite expensive and unfortunately my library doesn't have them. I love the cover of Gentleman Jim, thanks for including that . Shame the Dr. Who graphic novel wasn't quite your thing. Thanks Gaia! What a shame you can't get Locke & Key from your library!